Intellectual property protections – like trademarks or innovations on creative marketing – is one of the many federal benefits afforded to legitimate businesses. Unfortunately, L.A. marijuana dispensaries have long been shut out from these sort of protections precisely because they haven’t been treated as if their operation is in fact legitimate. Thankfully, that is starting to change as states pass reforms that bolster the position of marijuana dispensaries – medicinal and recreational – in our communities. The effect that is having on the marijuana industry is being explored in the Winter 2016 issue of the Washington and Lee Law Review. The study, “Trademark Laundering, Useless Patents and Other IP Challenges for the Marijuana Industry,” delves into some of the intellectual property challenges the marijuana industry faces and how the industry is tackling those issues today. Because cannabis remains a Schedule I narcotic under federal law, despite progressive state-level reforms, those who grow and sell the drug or its derivatives have found themselves unable to secure banking services, saddled with onerous tax burdens, unable to count on the enforcement of contracts they sign and trouble finding good marijuana lawyers who are willing to take on the complex and ever-changing regulatory landscape. In all of this, intellectual property protection has been largely put on the back burner. Mostly, this has to do with the fact that the majority of intellectual property rights are federal, and that means this sort of protection has been generally out-of-reach for those in the marijuana industry. So while companies may have been subject to some of the intellectual property law burdens, they have rarely been able to enjoy its benefits. Let’s look at trademark protection. There are one of two ways to secure a trademark in the U.S.: One is to register it with the U.S. Patent and Trademark Office. The other is via the use of the Lanham Act, which is a measure that protects the use of unregistered trademarks. Protecting a trademark involves proving that its use in commerce is distinctive and regularly associated with a particular product or company and used in commerce. However, the U.S. Patent and Trademark Office has a history of refusing to issue trademarks to companies that engage in illegal commerce. For the marijuana industry, that means they can’t get approval of a trademark because, under federal law, they are engaged in illegal commerce. As far as invoking the Lanham Act, that can only happen if the company is engaged in interstate commerce. Yet state-level legalization of marijuana – either as medicine or for recreational use – applies only to activity within that state. In fact, state-level laws are explicit on that fact. Meanwhile, companies that provide services to marijuana businesses – but don’t actually grow marijuana – have gotten trademarks and patents on phrases that include the term “marijuana” and images of marijuana plants. This is true even though they don’t sell marijuana, and it means they are going to have a long-term advantage of consumers recognizing their brand, while those actually growing, buying and selling the actual product are at a distinct disadvantage. Plus, they can still be liable for trademark infringement. For example, one company got into hot water by calling its marijuana-infused peanut butter cups “Reefers,” a clear play off the Reese’s trademark product. 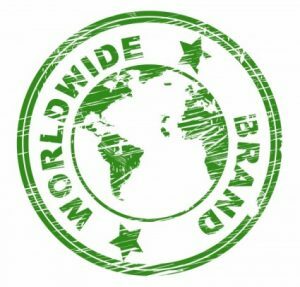 This has given rise to another practice that is being dubbed, “trademark laundering.” This involves securing trademarks for legal goods that are then used in connection with cannabis sales. So for example, a company will get a trademark for a chocolate product that doesn’t contain any cannabis, but will then turn around and use the trademark for an edible chocolate product with marijuana. Intellectual property concerns should be discussed with an experienced L.A. marijuana attorney.